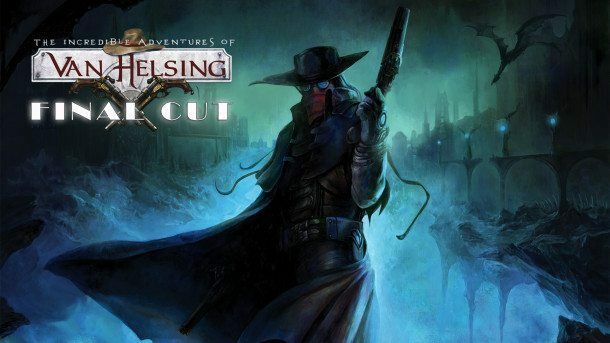 The Incredible Adventures of Van Helsing: Final Cut will undergo a backend system transfer soon as the current framework, Parse is getting discontinued at the end of the month. Therefore, we are migrating to GameSparks – and the transfer is in progress as the tester team is already hard at work as we speak, testing the beta update for the game client so we can push the update live as soon as we can. The transfer will approximately be ready mid-February. During this period, it is strongly advised to play the game in offline mode as various anomalies might occur if you try to go online. Also, redeeming free Final Cut is not possible until the process is finished. Although we are hard at work on our main project, Warhammer 40,000: Inquisitor – Martyr at the moment, we are trying to focus on this update now as much as we can in order to get the update up and running as soon as possible. We would like to ask you for your patience during this period. Please neocore, say us a delay. 3 days, 20 days ? we perfectly understand it's an hard work. But we don't understand the lack of communication. have a good day neocore team, AND SPEAK US MTFK ! Just bought the game and now I can't play because of network error. When will this be fixed? Is The account we use to post here the same one we use to log in to Van Helsing final cut? The OP said they reccomend not logging in,but does this transfer prevent you from logging in at all? It seems to on my end. I get "network error" every time I try. By the way, Inquisitor is fun, even in its current state. I very much look forward to its final release. And what is the status on the transfer? it will be help if you make an littel daily update. but youre infos is not so mutch i read. Ithink it will help when you spend more time fpr the community and the status form the transfer. it must no huge text.... maybe whou much percent ore something. i think more feedback will give the community a good feeling. some peopel feels left alone. is there any update about this? I still would like to get my steam code for the van helsing final cut. I got an e-mail pointing to the old news, which is not available of course and the auth page has moved as well. findet keine lösung und hier in der community wird dann nebenbei erwähnt es könne noch dauern. The workaround is maybe good for people who starts this game from begin. For the other ... just a bit sad.. I prefer to wait more to got my character back safe. But I doesnt understand why not any information is given the last days(soon weeks!). You can just say if it takes more days/weeks even months. It's still better than NO INFORMATION at all ! Well, it's at step further. Finally you could change your password of your old Neocore Account. I hope the accounts are okay and I would like to finish my Van Helsing Final Cut progress. WH40k Inquisitor Roadmap and first Gameplay looks auspicious. Well write a post about it when it's done. Sadly it takes longer than expected. Well still nothing...... Bought the game to play with a friend and now nothoting tnx to the network.... eny updates devs? Someone had posted this a couple of weeks back, but for some reason I can't see it any more. Anyways, apparently you can still play "online" with others. Just click the "Play Offline" button and in the menu it'll give you an option to host a game which your friend can join. Granted that if you're character was hosted online, you'd have to create a new character, but at least it's better than not being able to play with others at all. Каждый раз как я хочу зайти под своим логином и паролем в невероятные приключения Ван Хельсинг: финальная версия мне пишет "Ошибка сети". Я так полагаю что это связано с переносом серверов или это уже косяк от разработчиков????? Это из-за переезда. До этого всё работало стабильно. Hi! I would like to share with my discovery. Few weeks ago I found really useful site, where are lot of information about all games. The most incredible page is about my favorite game The Incredible Adventures of Van Helsing II. Maybe you can share with me your minds or other sites where are information about this game. Let me know what do you think. Thanks, Ben! Nearly finished the game with all achievements and I cannot play because of login error for a month. You told us that issue will be fixed mid february still nothing changed. Can you give the exact time please?